sheepless in suburbia: I have some completions! Woo hoo! In the fall I shared a long list of "in process projects". 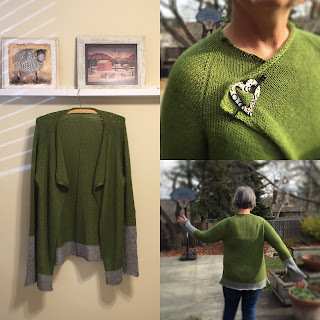 I joined the "2015 Fall UFO" group via a Ravelry Group called Quilters Knitting. 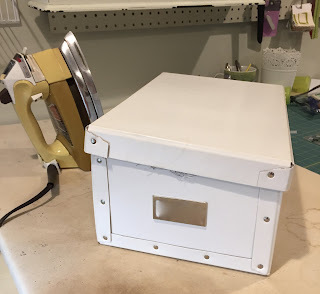 I had to list at least 5 "in process" projects and make an effort to get "something" done, or (at the very least) to encourage others with their efforts. I visit the group threads everyday. Seeing every one's success (plus targeting a few of my own projects) resulted in a few completion's of my own! My first finish was a Quilt As You Go Table Runner that I think I had started earlier last year. It was primarily a stashbuster project. I used a panel that I had on hand and fussy cut the autumn themed leaves, sunflowers, nuts and pumpkins and went at it from an improv point of view from there. I highly enjoyed the process, but came to a complete halt when I hit the sashing bit (and into the UFO pile it went). I finally decided to pull it out, return to the tutorial and soldier on. I am embarrassed to admit how easy it was and how intimidated I had been. The technique is from The Quilting Edge. With a heady feeling of success, I pulled out my second "time sensitive" project. This was a Happy Holiday Runner that had been languishing from last Christmas. I spent entirely too much time trying to create a great backing fabric using up my leftovers. In the end I was pleased and I guess the upside is I now have a reversible table runner! 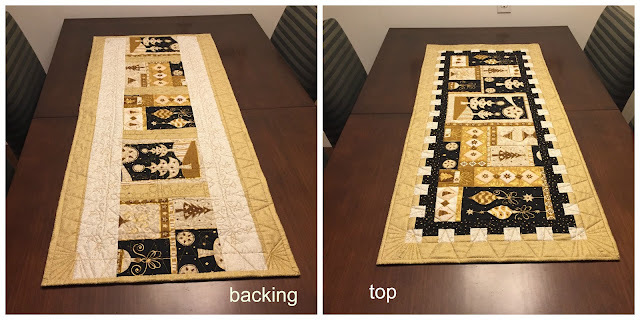 I tried my hand at some free motion quilting (FMQ) with varying levels of success - bearing in mind that no one who looks at my quilting efforts (in this house) has a clue! Other than that I finished (finally) my Audrey Cardigan bribing myself that I could start another knitting project if I did. I'm very happy with how it has turned out but I need to get used to the slippery / slinky feel it has. The yarn is a llama / silk blend and I'm used to warm and woolly yarns! Well that's it for now. I've a few other thoughts mulling around in my head right now for this blog - just need to let them "moodle" a bit! I love your table runners, Judi, especially your reversible one. With both sides so gorgeous, how do you decide which is the "back" side? I think your FMQ is just fine. I also love your Audrey cardigan. The colours are a couple of my favourites. I've been looking for a pattern like that for a long time. Thanks for the tip. Thanks Laurel! It was nice to have some 2015 completions! Congratulations! What a wonderful way to finish off the year (pun intended). What are you going to start now that you have all of these finished in hand?